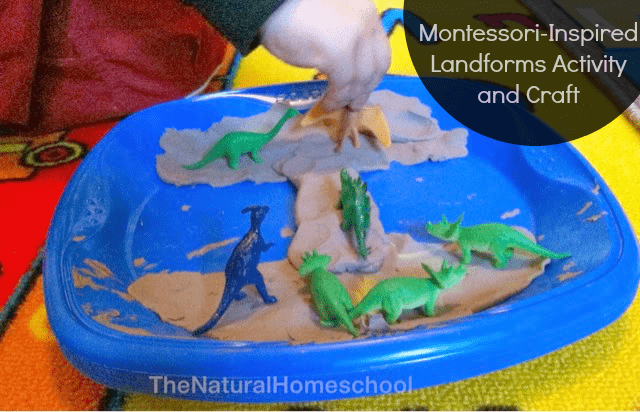 This is a Montessori-inspired landform activity with a fun twist. 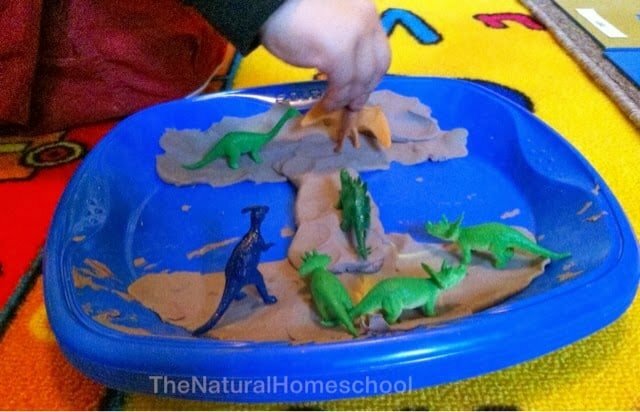 I love following my child to expand his knowledge and creativity! 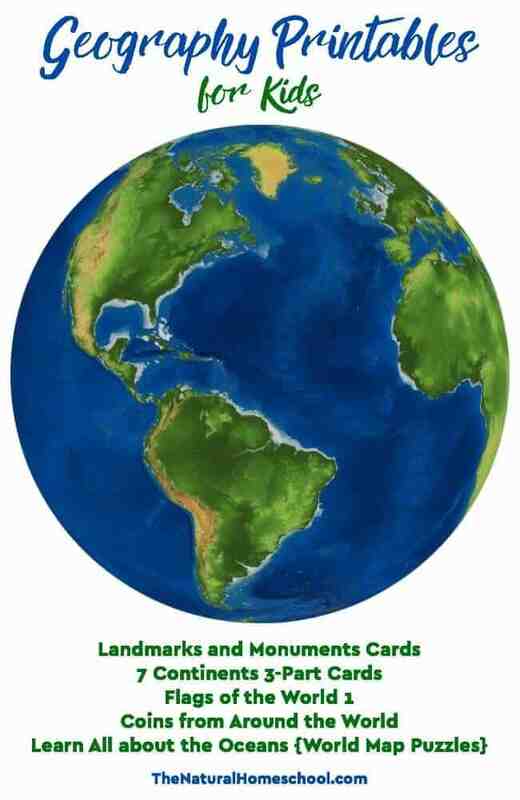 First, we started with the nomenclature cards (cards with pictures and names of the different landforms). 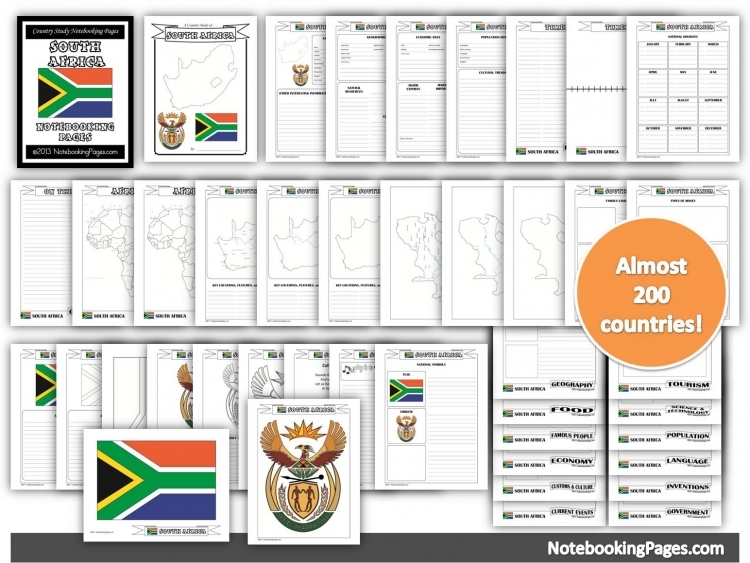 These are so easy to make or check out these other resources: 1+1+1=1, Montessori For Everyone, NAMC, Montessori Printshop. I am sure there are other good ones, but these are some of the ones that I have come to love and use regularly. 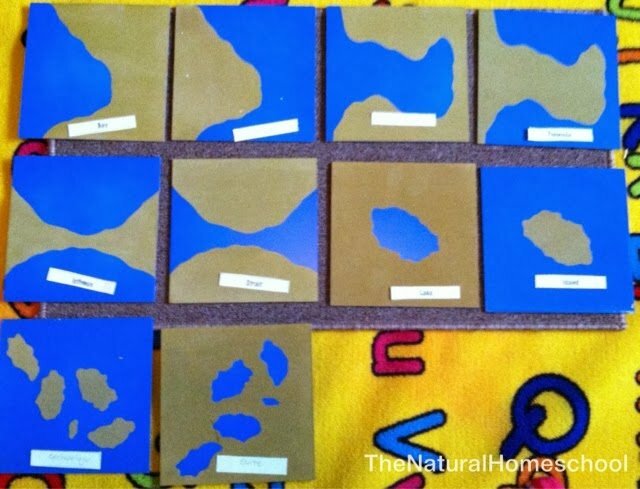 Then, I used the sandpaper landforms with the nomenclature cards. 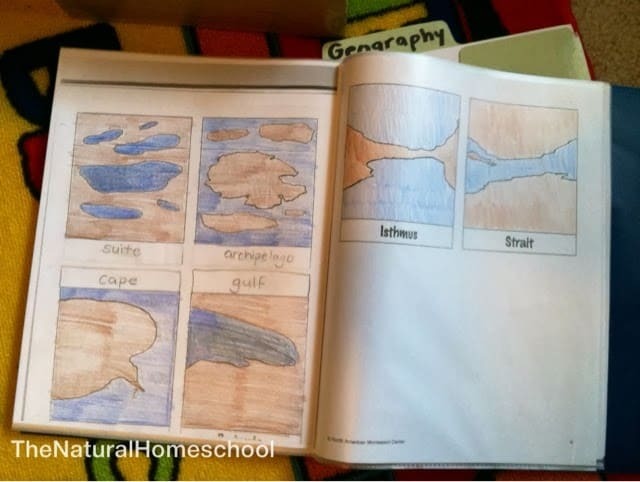 These aren’t necessary, per se, but as you can see, they give a better visual of the landforms. I bought these landforms with carrying wooden box for a good price. Finally, the messy fun begins. 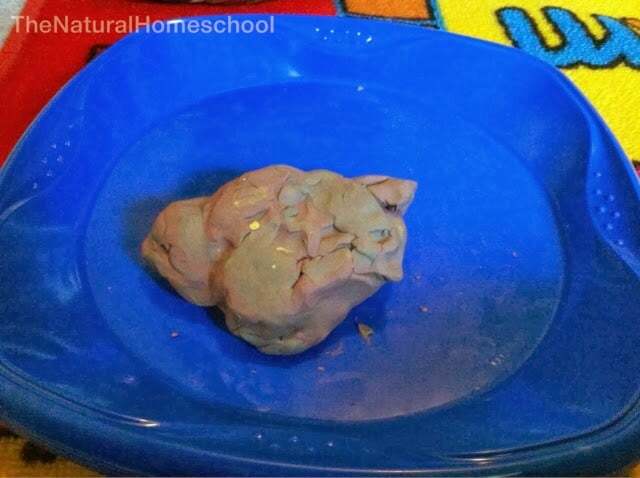 I had homemade playdough, but I preferred to use modeling clay for this. 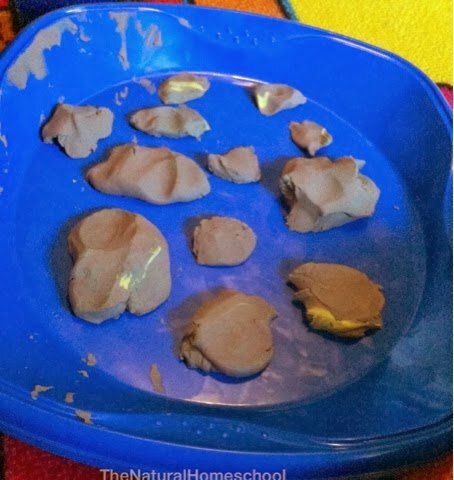 We only had the four typical colors (red, blue, yellow and green), so we mixed them all up (this took a few minutes, but it was fun) to create a beautiful brownish/grayish color. For the water, I simply got a sturdy, blue plastic disposable plate. Next, I asked K to pick one of the landforms that he liked most. Since he’s into superheroes, he chose “cape.” haha. So we made a cape. Then he chose archipelago, so he made one. We could have used a different plate for each, but honestly, why waste? 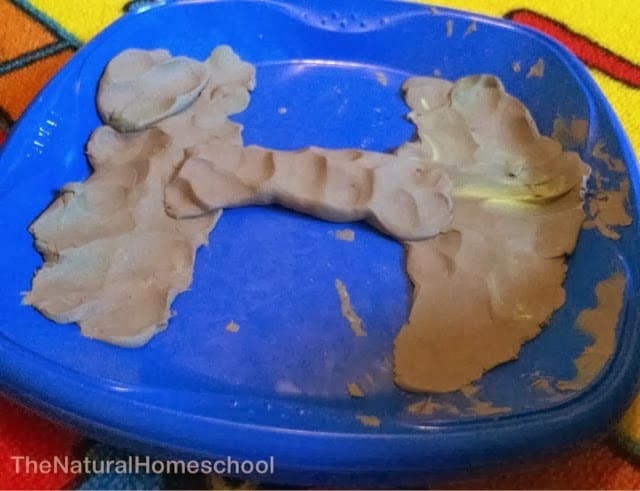 Lastly, we made an isthmus. This one turned out to be so much fun. 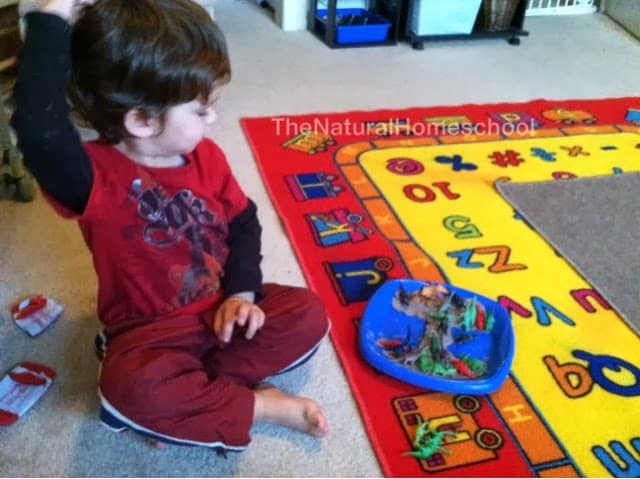 He wanted to get some cars or toys to go on it, so I took out our small toy dinosaurs. He had a blast letting them cross on the isthmus! 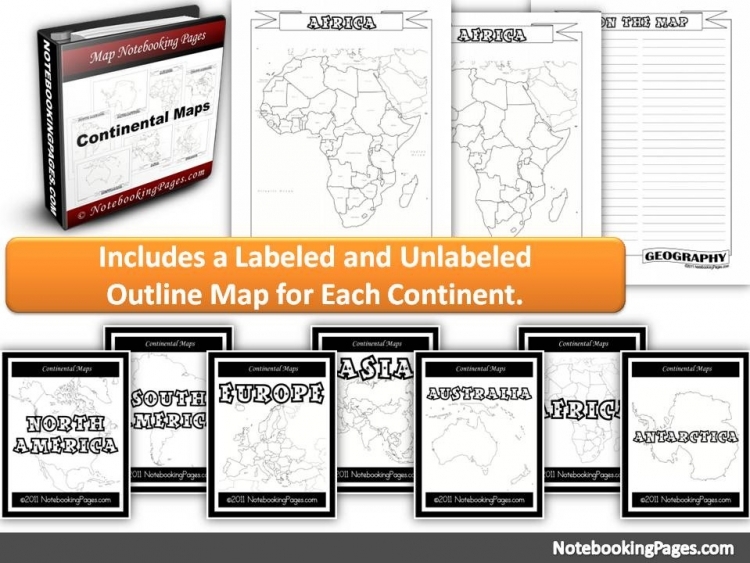 What a fun way to learn terms! He was making up all kinds of stories about which dinosaurs were crossing, which ones were fastest, which ones were in the way, etc. He is so creative! 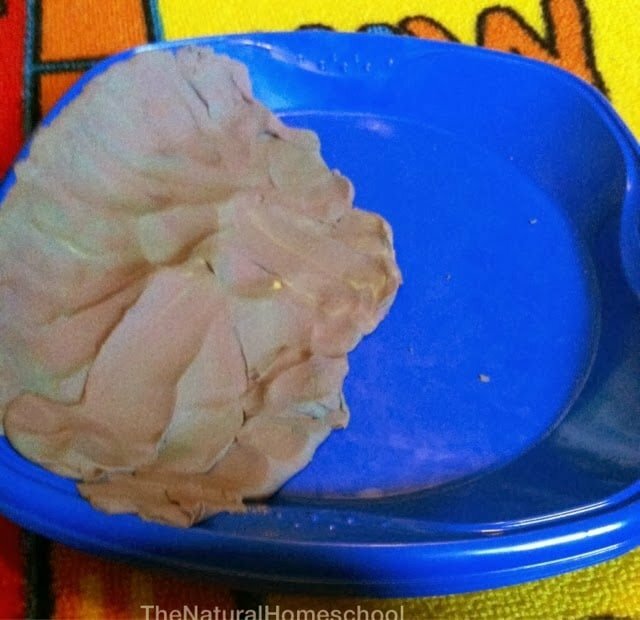 We hope this inspires you to do this activity at home! This is a wonderful post! 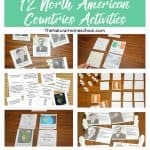 I love reading how you set up the activity and made it hands-on.